« CATES & REZNICEK DEBUT BUZZKILL! 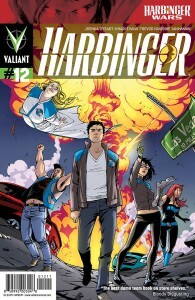 Valiant is proud to present an advance preview of Harbinger #12 from New York Times best-selling writer Joshua Dysart and acclaimed artists Khari Evans and Trevor Hairsine! 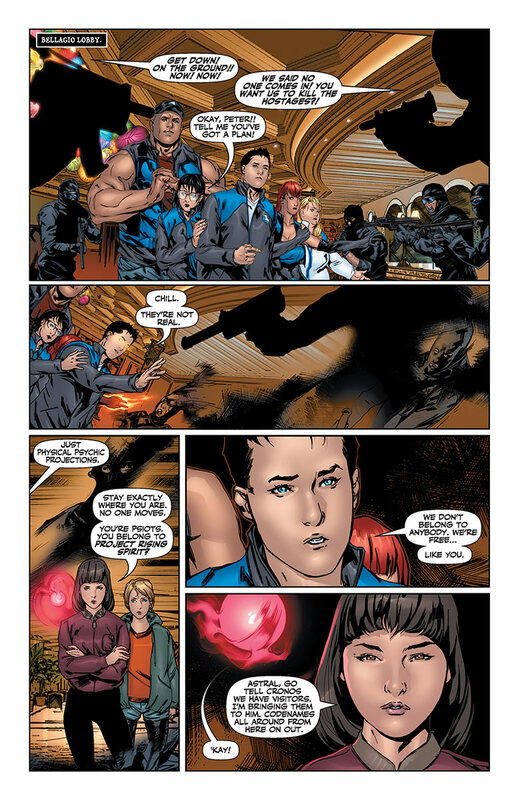 On May 8th, the definitive Valiant Universe event of the year kicks into high gear as Peter Stanchek and the Renegades come to face-to-face with the Harbinger Wars’ most unpredictable new players – the escaped Project Rising Spirit strike team known as Generation Zero! Unsure of exactly what they’ll find, the Renegades have followed Peter Stanchek’s strange dreams and visions straight into Las Vegas. Led by the words of the Bleeding Monk – who bleeds but does not die – they’re about to find themselves in the company of PRS’s tempestuous teenage test subjects, the fugitive Harbingers that now call themselves Generation Zero. Inside of a fortified Las Vegas casino, will they will be able to broker a peace with their kindred spirits in the Renegades? Or do these trained child soldiers still have one wild card left in their assault on authority? The next generation of the Valiant Universe has arrived…and all of Las Vegas is going to feel the aftershocks when Harbinger #12 pulls the trigger on the next explosive chapter of Harbinger Wars – in stores everywhere May 8th! 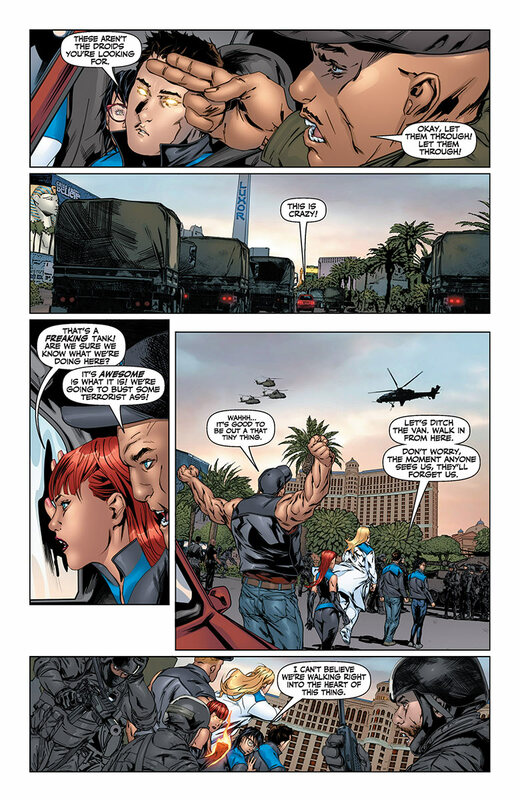 Then, follow Bloodshot into a no-holds-barred battle with the Harbinger Wars’ most ruthless combatant, Toyo Harada, on May 15th in Bloodshot #11! 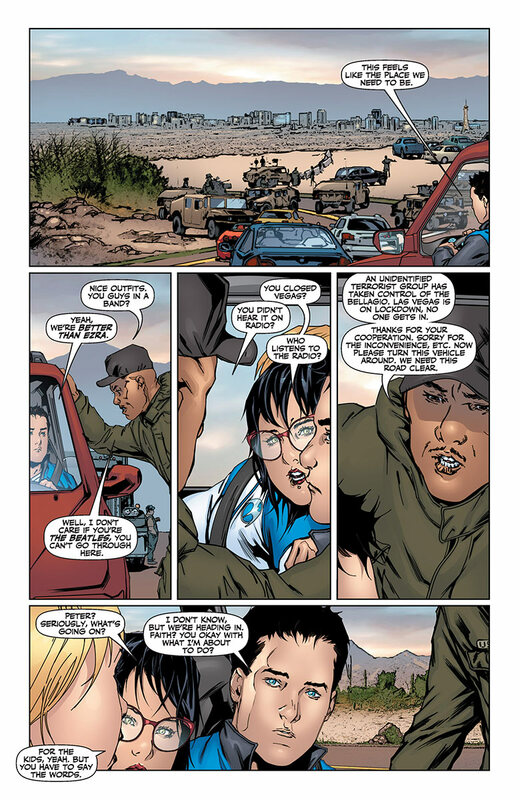 For more information, on Harbinger Wars, Harbinger and Bloodshot, visit Valiant on Facebook, on Twitter, and at ValiantUniverse.com. This entry was posted in Columns and tagged amy reeder, bloodshot, HARBINGER, Joshua Dysart, KHARI EVANS, TREVOR HAIRSINE. Bookmark the permalink. Follow any comments here with the RSS feed for this post. Post a comment or leave a trackback: Trackback URL.